Ubisoft recently revealed an ongoing update to its latest installment of Tom Clancy: The Division. The version 1.4 of the update is now under development, as they look to give a better user-gameplay experience. 1. Time to kill – The damage level is based on a character’s build, which includes skillset and gears. As of now, the difference in damage done between an average build and an optimized build is too huge. When comparing characters from level 12 and level 30, level 30 gear mods increase the damage output by 40%, while the level 12 gear mods produce a damage output of only 6%. Level 30 mods are 6.5 times more powerful than level 12. 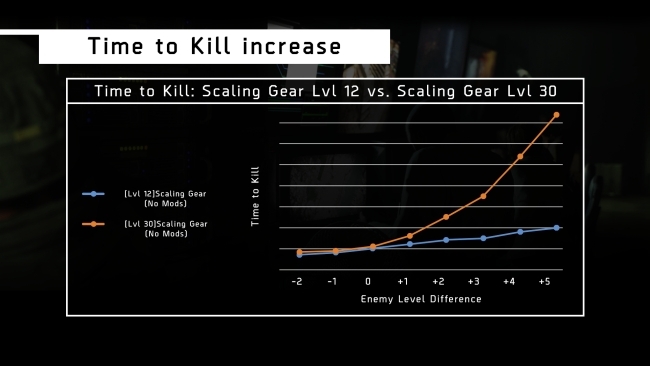 Also, the time taken to kill an enemy at level 35 is double than killing an enemy at level 17, when you are at level 10 or 12. This is because they are overly tuned with upgraded gear mods and weapons as they keep leveling up. But the real time scenario is how much ever we are geared up, killing time is the same for all. This is the feel what the developers are trying to bring in getting rid of this huge time difference in killing an enemy. 2. Difficulty scaling – The difference between the difficulty levels is large. It is extremely hard for solo players to shift to higher difficulty settings, as the game will turn ruthless and make a laughing joke out of you. 3. Rewards – After completion of each activity, the player can gain a new set of gear as a reward. But the problem is, the gear will be useful only for the current activity that is completed. To play a much difficult activity, the player has to do it with the hear they gained from completing the previous one. This gives a feel that there is no progression with respect to the game or gear. Hence there is a requirement to create a balance in the gameplay with respect to these 3 factors. 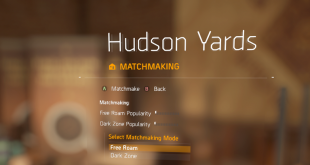 Ubisoft is now working on these issues in the 1.4 update.